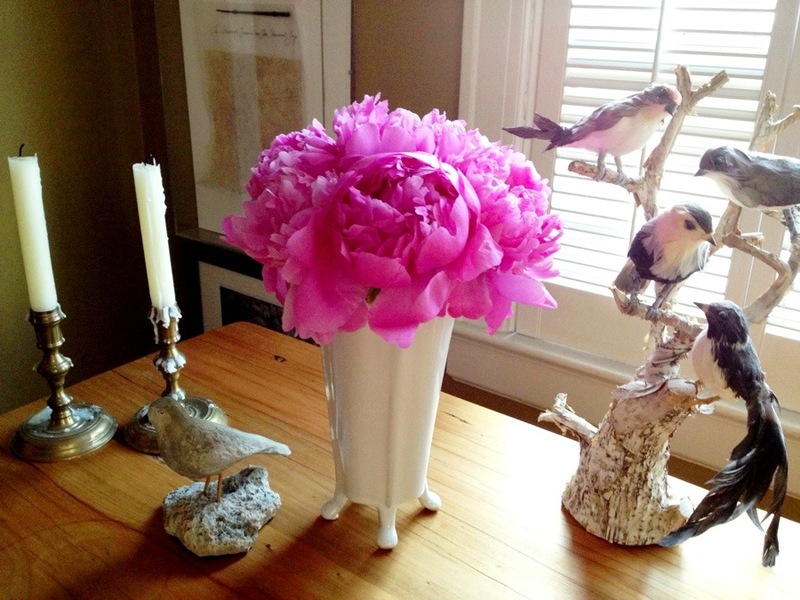 The peonies that flew back with us from Hawthorne to Seattle still going strong. The ruffly, fluffy goodness such a gift as we pass by the vase filled with them on the dining table. Quite hard to keep our eyes off of them while we sit enjoying our meals. The moment you open the front door the scent envelops you. They just had to be our Flower Friday blooms. A lovely, lovely week-end ahead to you all. Caretaker Bill sent us the above shot a few days after we left last week to show us all the peonies dancing. The image also caught that amazing Hudson Valley light it is so known for. The trees creating all sorts of shadows. The below I clicked on Sunday out on the island. The scented geraniums went crazy when we were away, filling up the tub. This West Coast edition of the shadows and light doing all sorts of lovely things on the shed and hazelnut shell laden courtyard. They made it! 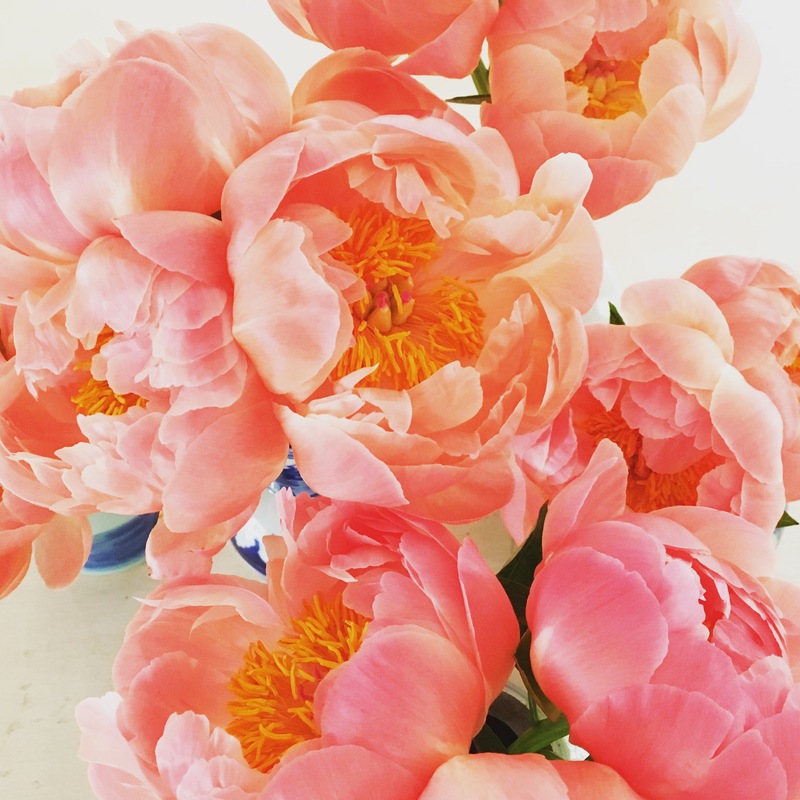 The peonies I plucked right as we were leaving Hawthorne made the cross country flight and are being enjoyed on the dining table at The Gainsborough as I type. 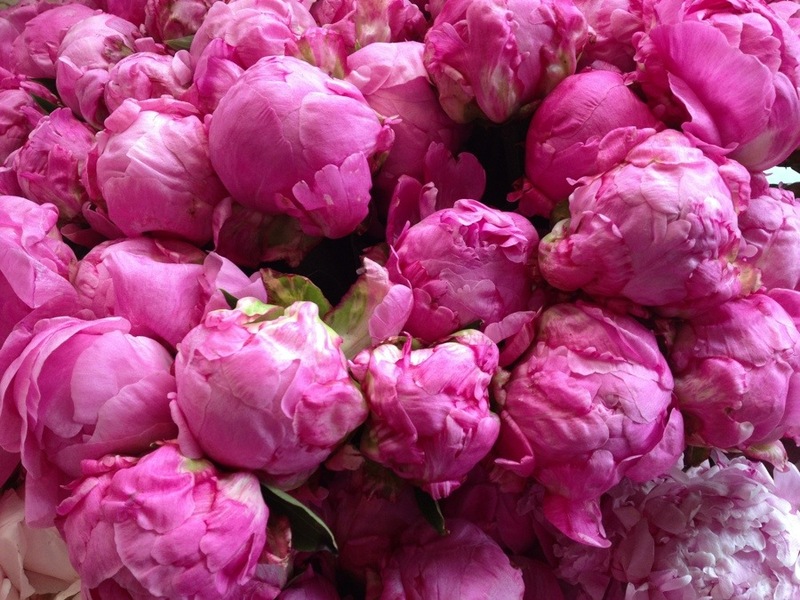 They are our Flower Friday blooms of the week. Boy were those little guys ready for a fresh cut and a big drink, but other than that, they were serious troopers. I cut them and instantly wrapped the bottoms of the stems in a wet paper towel, then wrapped them tightly in a ziplock bag so the stems stayed surrounded by the moisture. I carried them in my L.L. Bean bag on the plane and they sat perky in the middle seat for the flight. Our meals at the table a fluttery symphony of color & scent. 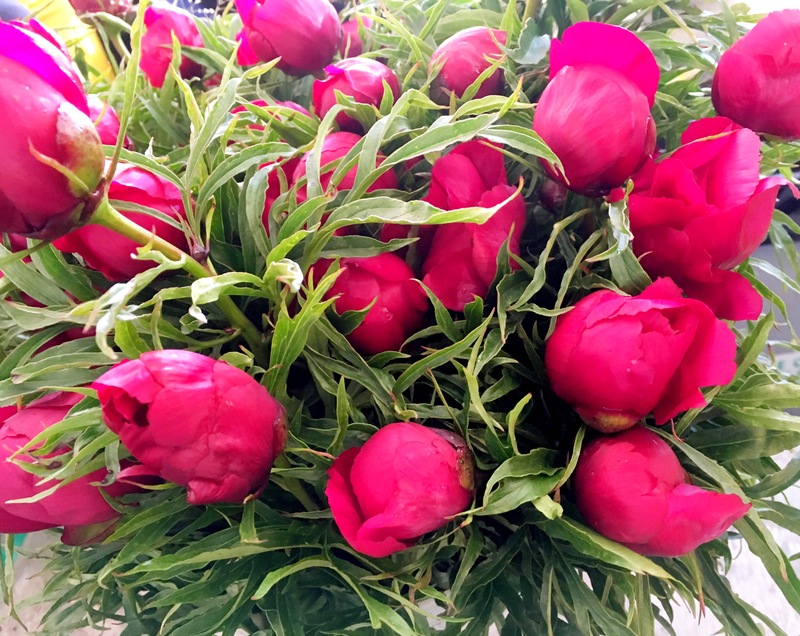 That big bucket of the first of the season peonies I spotted at the Market last Saturday are the Flower Friday blooms for the week. Enjoyed for all to see in the shop that day, they then made the ferry crossing to and from Vashon Island. They have been gracing the dining table this week in town to much happiness. The above image when I first saw them. Love when the buds are closed up, just waiting to explode to show the world their ruffly beauty. Peonies continue to be the Flower Friday darling, with the season being quite short, I am picking them up at every opportunity possible. The enjoyment level so darn high. 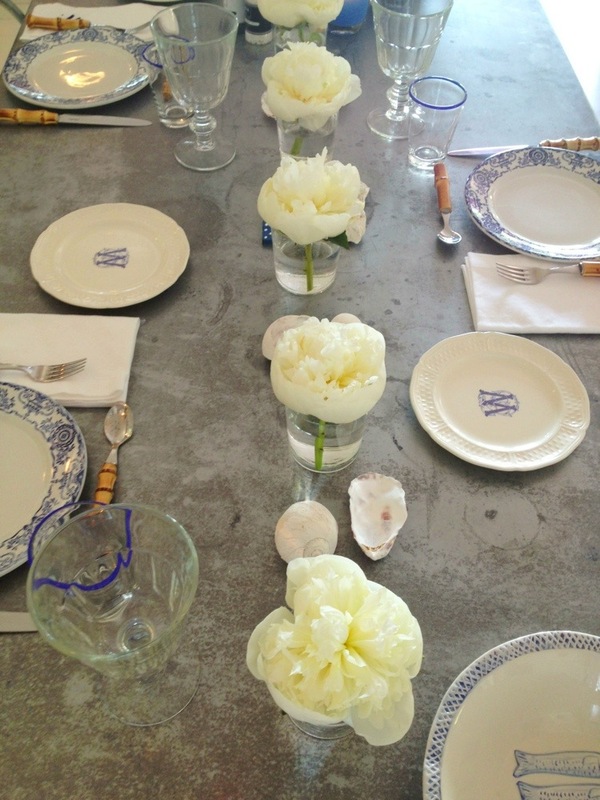 We had folks for cocktails on Tuesday eve in town, the peonies on the dining table greeting them throughout the sunny evening. Snapped the below solo peony as I sat reading last night and looked across the room to fluttery splendor. The heat of the last few days helping to open the bloom up–it took my breath away when I glanced over at it. Flower Friday is coming to you all a day tardy. 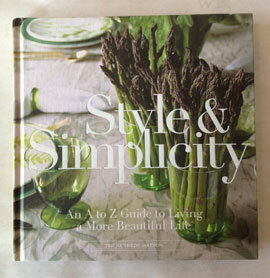 I really wanted to invite everyone to the Virginia McCracken trunk show today, so I really needed to post it yesterday. Oh well, thought you would not mind. 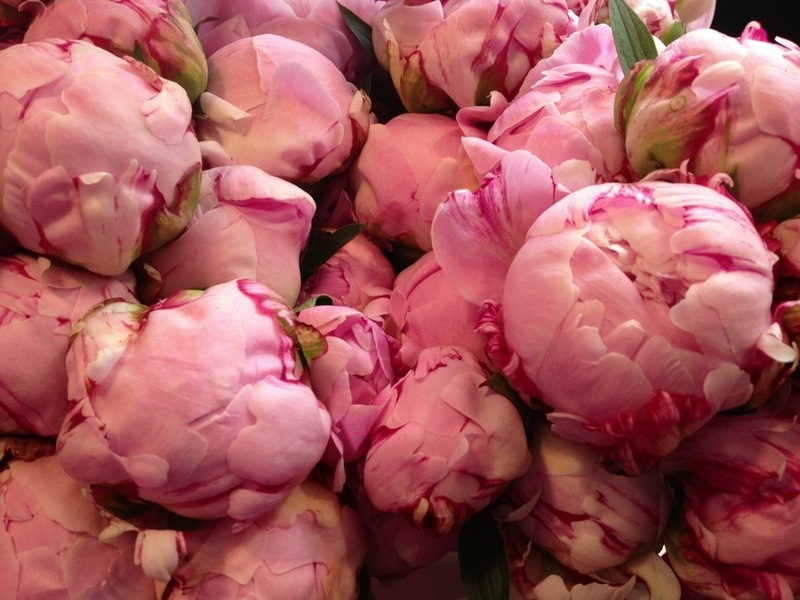 Now onto these beautiful blooms. 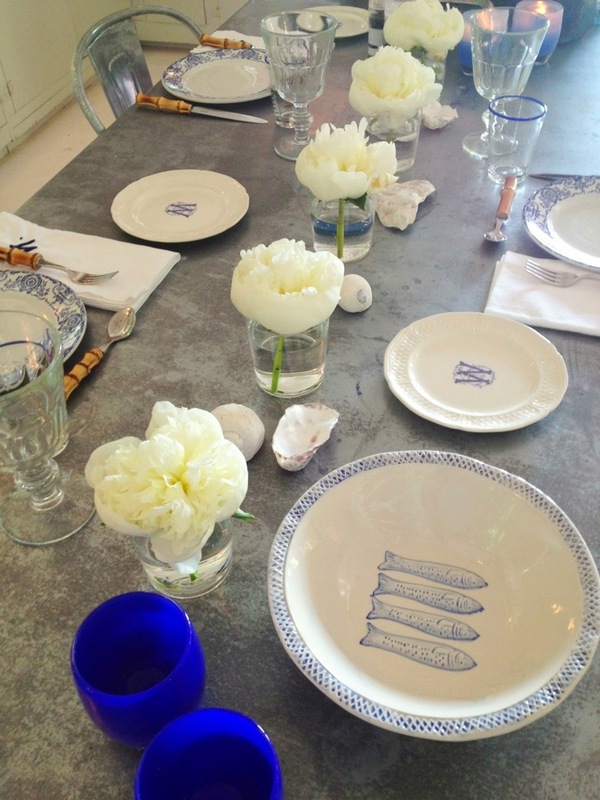 Living with flowers can really brighten up a day, a table, a home. But I know they can be costly so making the most out of them is key. Most often grocery stores sell bunches of flowers, usually in a bundle of 5. That single bunch can make a big impact. Just spread the love around. Here is where a single stem vase increases the visual impact. For this table they are the simplest of clear drinking glasses. 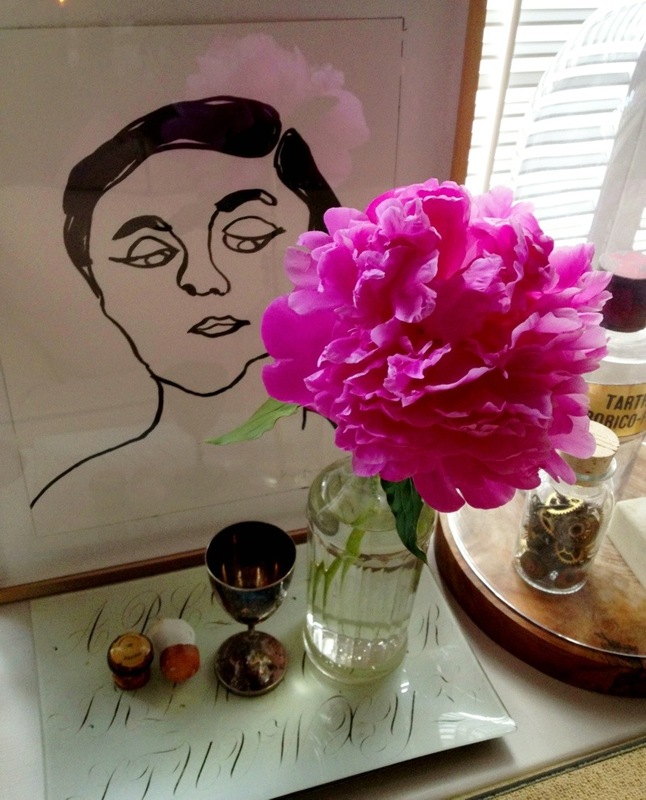 I cut the peony so the heavy head rested right on top of the lip of the glass, giving it support. Then I ran them down the middle of the dining table. That simple bunch of flowers bringing the whole table setting together, getting a big bang for the buck. The next day they moved with the table outside, and I scattered them around to mix it up a bit. 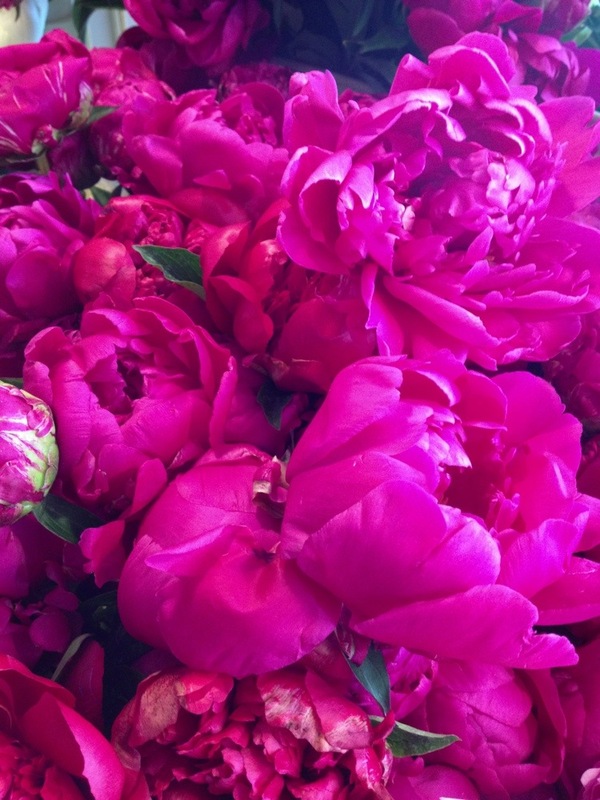 The bunch of 5 peony giving us all sorts of happy over the week.